ONE OF THE PLEASURES of baking with early season apples is that there is an abundance of fresh, local produce around. It makes for good experimenting, as apples pair well with almost any food, sweet or savory. I had a large eggplant on hand and Pristine apples, and I was not surprised when my Internet search yielded a number of interesting apple-eggplant recipes, many of them salads. I adapted this from a recipe of the I Love 5 to 10 Servings A Day campaign of the Quebec Produce Marketing Association. The basic recipe is easy to make and interesting to look at, like a short stack of pancakes. It stands delicious as is or with variations. The softer texture and complex flavor of Pristines contrasts well with the savory eggplant. The topping, a creamy tang of goat cheese, complements them both. The eggplant takes longer to cook than the apples, so start with it. Heat oil and butter in a skillet and sauté eggplant until soft, seasoning with salt and pepper. Set aside. In a 9″ x 13″ baking dish, make four towers by alternating first eggplant, then apple slices in layers. Top with cheese and melt under the broiler until golden. Serve immediately. To this basic recipe I made three alterations. To one tower I added a dusting of nutmeg while serving. On another I added two tablespoons of sauerkraut between layers before broiling. For the fourth, I added a layer of thin onion slices that I sautéed in the skillet after the apples were done. I cannot say I had a favorite. They were all outstanding with a flood of flavors. The tang of sauerkraut, onion, and nutmeg blended well with the sweet-tart apple, and plenty of good eggplant flavor came through each time. The goat cheese on top added even more character — in color as well as taste. I would make Apple Eggplant Towers again using any of these variations, or an assortment. I might just continue experimenting. 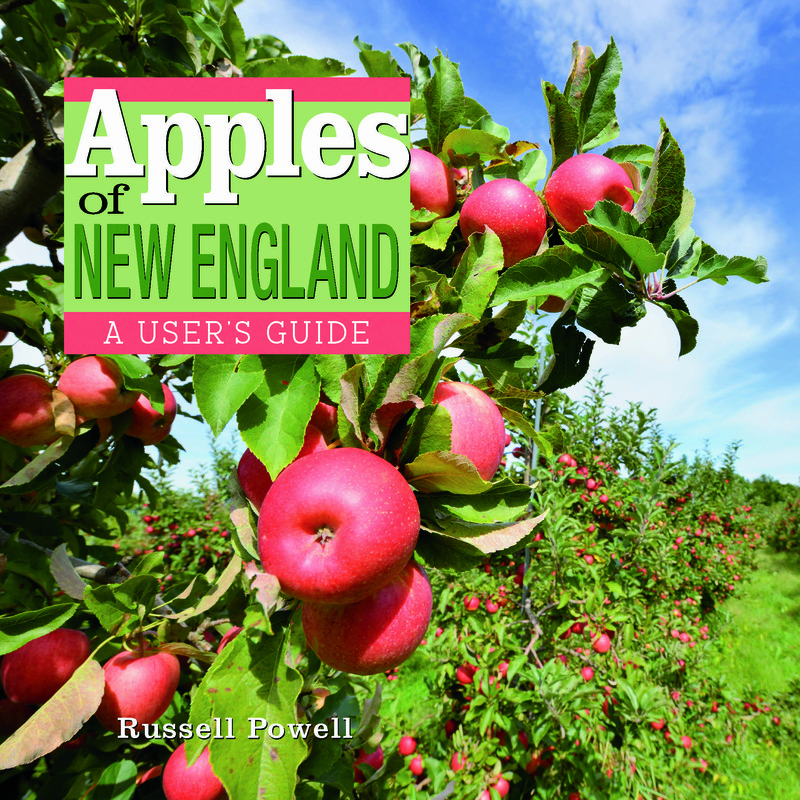 TWO BOOKS by senior writer Russell Steven Powell, with photographs by Bar Lois Weeks, executive director of the New England Apple Association, explore the history of apple growing in the region and take an expansive look at the nation’s apple industry. Apples of New England (Countryman Press) is a regional history and guidebook, with photographs and descriptions of more than 200 apples discovered, grown, or sold in New England. Apples of New England includes chapters on the history of apple growing in New England, and on the “fathers” of American apples, Massachusetts natives John Chapman (“Johnny Appleseed”) and Henry David Thoreau. 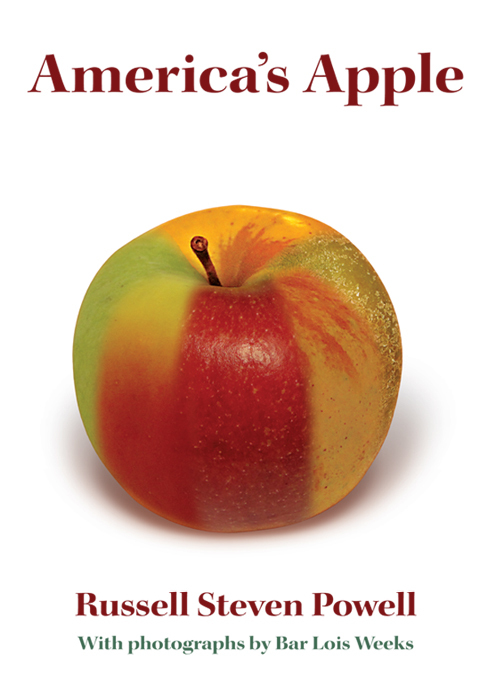 America’s Apple (Brook Hollow Press) presents a detailed picture of how apples are grown in America, through stories of the people who grow them. There are chapters on horticulture, history, and the best ways to eat, drink, and cook with apples. America’s Apple looks at how America’s orchards are changing as a result of the trends toward intensive planting and the trademarking of new varieties, and what that means to consumers. Powell also writes about the fragile underpinnings of modern agriculture: the honeybees needed to pollinate the crop and the labor required to pick it, plus new and exotic pests and increasingly volatile weather. For more information, write to russellstevenpowell@gmail.com.